There is no shortage of youngsters who have innovative ideas. Proper development and implementation of these ideas will come in handy to solve several issues. The central government offers such youngsters with a platform. An event like Smart India Hackathon 2019 will be able to convert it into a movement. This year too, the event has started, and interested colleges can send in their applications. Participation of students – This event is open for submissions from students only. Colleges will be able to send in one or more teams to for representation. Other than this, students can form their own groups and partake in this unique event. Total number of technical participants – More than 1 lakh students, pursuing one technical course or another, will send in their applications, along with their innovative ideas. Number of technical institutes – The organizing committee is of the opinion that as many as 3000 technical institutes will send in their ideas to compete at a national level. Private sector participation – The students’ ideas will be judged by the experts from private organizations. Professionals and experts from more than 200 private organizations will judge the ideas. Enhance expertise of students – The participating students will attain tips and guidance from the experts in the specific field. Their guidance will help the students to get over hurdles, and present a polished and feasible idea. Boosting institute level representation – The event has been organized for the participation of instate students. This step highlights the importance of technical innovation among candidates, and also gives them a platform to showcase their ideas. Supporting startups – Another advantage of this event is to create a conducive atmosphere for the development of startup organizations. The innovative ideas, which attract the attention of the judges, will be able to get necessary investment. The financial support will pave the path for the establishment of new startups. Come up with solutions – The main objective of the event is to pave the path for new and innovative solutions. The development and implementation of these solutions will enhance the quality of life of the society. These innovative ideas will be based on the application of technology. Technical students only – This event has been organized by the government to offer a platform to those students, who are associated with technical courses. Team participation – None of the students will be able to take part on a solo basis. They must register as a team or on behalf of the college faculty. Personal ID of applicants – After preliminary application, all students have to submit their identification documents. Letter of consent from the college – Whether the students are applying on behalf of the college or on their own, they have to submit a NOC or consent letter. This letter needs to be issued and signed by the college authority. How to apply on behalf of college SPOCS? Applicants need to log on the authorized site of the event for enrollment. It is only possible by filling in the digitized form. To get access to this online document, one has to log on to the link sih.gov.in/. The main menu is located at the top of the page. Here, applicants will find the “Register” option. After this, the main digital application form will appear on the screen. Here, candidates must fill in all the necessary information and then save the enrollment document by clicking on “Register” button. How to apply as a student team? Students, pursuing technological courses will also be able to partake in the event on their own. In that case, they will have to work in teams. All such teams, interested in apply will have to click on the link sih.gov.in/ and gain access to the official portal. 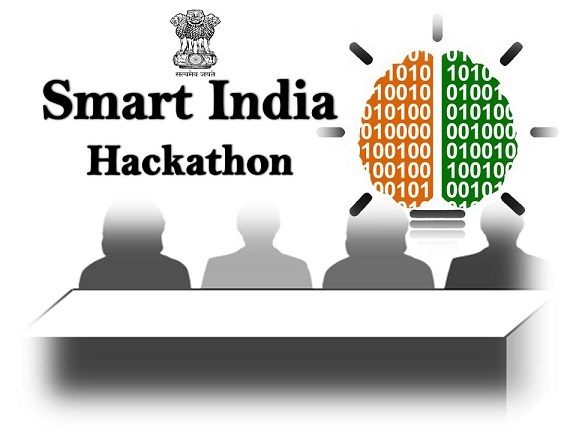 This will initiate the generation of the Smart India Hackathon 2019 enrollment form. All applicants have to type in a name for their group; highlight the name of the institute, and other required details. After this candidates must upload the papers as mentioned in the event guidelines. How to check the SIH themes and problem statements? All interested candidates will be able to check out the themes and problem statements of this year’s Smart India Hackathon. For this, they need to get to the online portal by clicking on the link sih.gov.in/. It will trigger the site to open a separate page that will highlight all the problem statements. To get to this page directly, applicants can click on the link https://www.sih.gov.in/sih2019ProblemStatements. It is possible to search the list with specific criterion. For this, applicants must mention their interest in the search button.